Obstructive sleep apnea can have cascading effects on your overall health and quality of life. When you are unable to breathe properly at night, you will wake up repeatedly. This can result in chronic exhaustion, mood swings, irritability, and many other symptoms. The condition can even have serious consequences on your long-term health. The doctors at Chesapeake Ear, Nose & Throat can treat snoring and sleep apnea at their Baltimore, MD, practice. Continuous positive airway pressure (CPAP) and custom oral appliances are the most common treatments for sleep apnea. When you are asleep, your whole body relaxes, but if you suffer from obstructive sleep apnea (OSA), your soft oral tissues will relax too much. During sleep, your soft plate or throat will loosen, blocking your airways. As a result, you wake up repeatedly, and may not be aware of the interruptions to your sleep. Snoring can often be a problem on its own. Loud nighttime breathing can be embarrassing and disruptive. In some cases, it can lead to relationship difficulties. Snoring is often a telltale symptom of sleep apnea. When your soft tissues loosen, air will have to squeeze past them, causing loud vibrations, or snoring. However, while snoring can be a symptom of OSA, not everyone who snores has sleep apnea. Nevertheless, snoring can often be a problem on its own. Loud nighttime breathing can be embarrassing and disruptive. In some cases, it can lead to relationship difficulties. If you struggle with any of these symptoms, we will conduct a complete diagnosis. We will begin by examining your soft oral tissues and the alignment of your jaw. For a completely accurate diagnosis, we may recommend that you undergo a sleep study, conducted at home or in a sleep lab. This test will measure heart rate, blood pressure, eye movements, oxygen saturation, and breathing rate as you sleep. With this data, we can diagnose your condition and determine the most appropriate treatment for you. 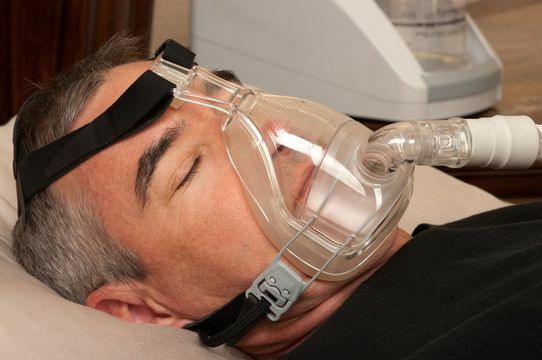 Continuous Positive Airway Pressure therapy (CPAP) is the most common remedy for sleep apnea. If your doctor recommends this treatment, you will wear a mask over your mouth and nose while you sleep. The CPAP device will pump a steady stream of air through the mask, gently keeping your airways open. Your doctor may need to adjust the CPAP device to achieve the best possible results. Once you adapt to your CPAP device, your sleep and overall quality of life can improve dramatically. 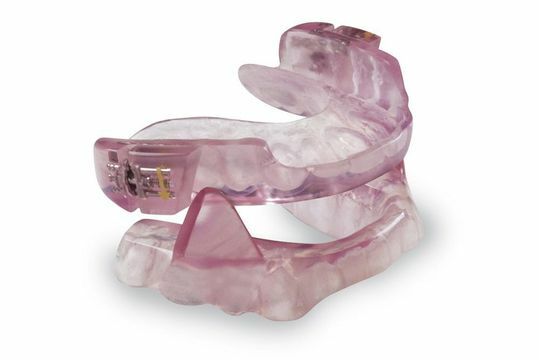 Alternatively, your doctor may treat sleep apnea with a custom-made mouth guard. This appliance will fit over your teeth, gently pushing your lower jaw forward. The new position of your jaw will tighten your soft tissues so that your throat stays open while you are asleep. Our doctors can prescribe similar devices to alleviate snoring, even if you do not suffer from OSA. Sleep apnea treatment can have important effects both for your immediate and long-term health and quality of life. Appropriate care can alleviate your current symptoms, improve your personal relationships, and enhance your workplace performance. In addition, OSA has been linked to a number of serious health conditions, including high blood pressure and an increased risk for heart attack and stroke. Sleep apnea can place you at a higher risk for accidents and car crashes, since you may be experiencing severe daytime sleepiness. Given the widespread consequences of sleep apnea, it is important that you seek treatment for the condition as soon as possible. Snoring and sleep apnea symptoms can have devastating effects on your life. The doctors at Chesapeake Ear, Nose & Throat want to help you find the rest and good health that you deserve. If you are suffering from the symptoms of sleep apnea, schedule your diagnostic exam today.